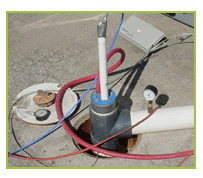 Field Testing, Data Interpretation, Report Construction, Plume Modeling, and Much More. SE Sciences professional staff offers field study implementation, equipment operation performance, data collection, professional data review, and data interpretation with report construction. 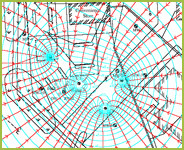 Our PhD resources specialize in contaminant plume dating and fate – transport modeling utilizing Twodan®, Modflow®, and a variety of other computer software tools. SE Sciences senior remediation personnel will provide the level of precision necessary to facilitate an effective mechanical design. 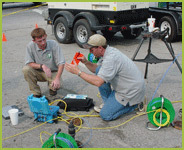 SE Sciences’ in-house field study equipment inventory includes portable trailer mounted units, smaller skid mounted units, independent pumps and blowers, and state of the art performance monitoring equipment.